On this episode Ben and Zac dive into the news! 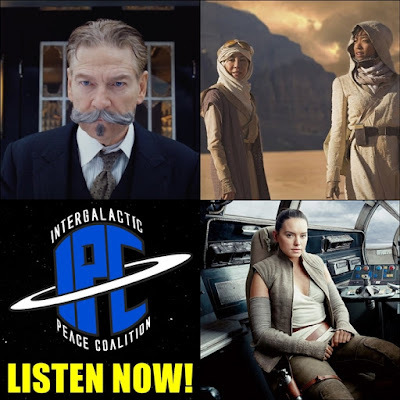 They discuss the new trailers for Star Trek Discovery, The Orville, and Murder On The Orient Express, plus the reports about Tom Holland being cast in the Uncharted movie, a release date for Marvel's Punisher series, new photos from Star Wars: The Last Jedi, and Zac Efron playing a serial killer. They also break down why the new Venom film, starring Tom Hardy, may not be such a good idea, as well as what's exciting about Universal's new "Dark Universe". Also listen for Zac's mini-review of Alien: Covenant and Ben's review of Martin's BBQ Joint for #BBQWatch. You don't want to miss this one!